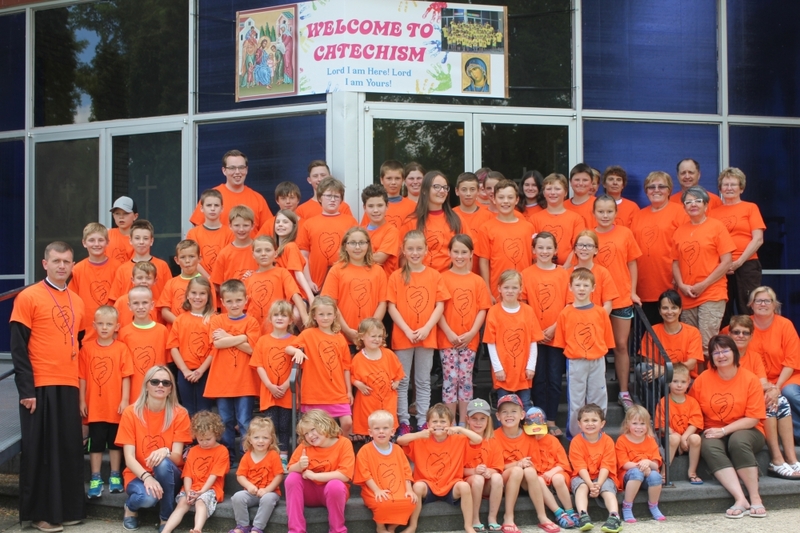 During the week of July 2-6 2018, children from Rossburn and surrounding areas came together for the Annual Children's Summer Catechism. For many children, this was not their first time at Children's Catechism. They return year after year to meet old friends, make new ones, and to learn about God. While Children's Catechism has been offered for several years in the Rossburn District, attendance grows steadily each year. The Ukrainian Catholic Parish of the Sacred Heart of Jesus in Rossburn was elated to welcome nearly 60 participants in this year's program. This year's theme was focused on the Mother of God, which was reflected in the beautiful t-shirts and copies of the miraculous icon of Zarvanytsia each child received. While each day varied in activities and what was included in the curriculum, there was one common theme that ties the week together; to learn about God, and to have fun. There is no doubt that the children engaged in both! Catechism classes were taught by excellent volunteers who were kind and knowledgeable. More volunteers came to cook for the children and their families for a hot lunch some days. After fun in the classroom, children were encouraged to play outside. Whether it be bouncing on the trampoline for the older kids, or going into the bouncy castle for the younger kids, everybody enjoyed themselves. 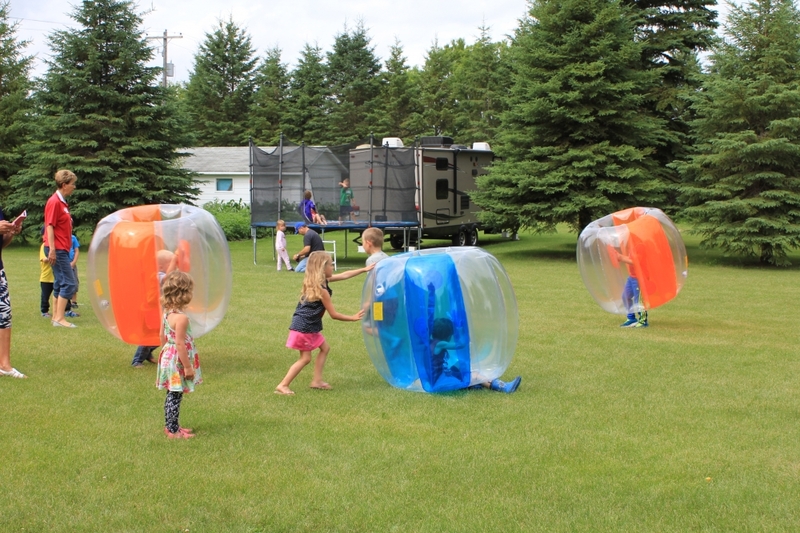 Some other kids played soccer, or the new additions this year - the human hamster ball & table tennis. This was a BIG hit for the kids, and everybody wanted a turn! Another highlight of the week was the epic water fight! Hundreds of water balloons were filled, and water guns were ready! It was the perfect way to cool off on a hot day, and the water fight ended with freezies for everybody. 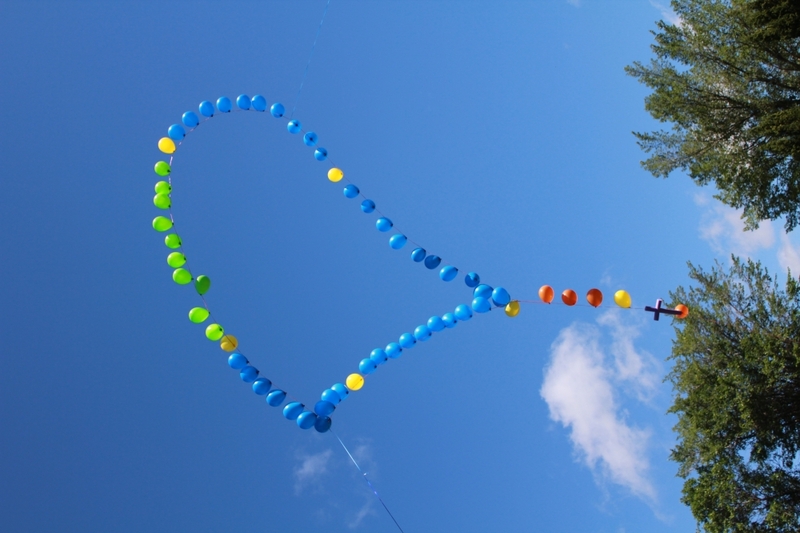 Amid all the excitement of Children's Catechism, one very special event took place on Sunday July 8 2018. A group of children who varied in age partook in their Solemn Holy Communion; something which catechism prepared them for. May God continue to bless each of these children, their families, Fr. Mykhaylo and dobrodiyka Iryna Khomitski, teachers & volunteers and the Children's Summer Catechism Program.